Help! My Dog Is Choking! Canine curiosity almost cost Maddie her life. 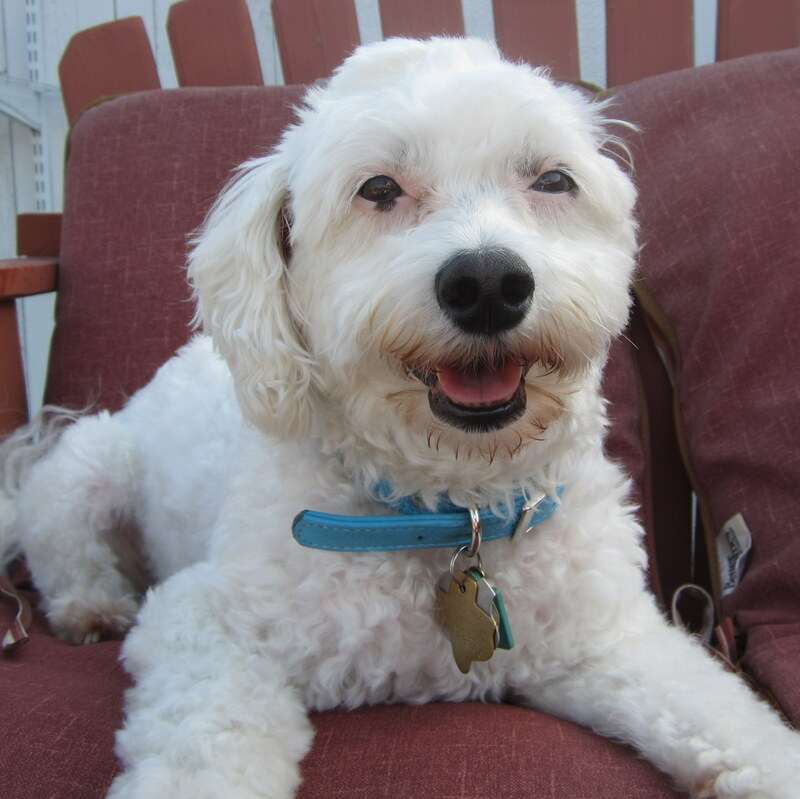 My sister’s sweet but nosy Bichon-poodle mix was counter surfing and discovered a terrific “find” – dental floss in a plastic casing on the end table in the living room. I happened to be caring for my sister’s pets in her home at the time. I was in the spare bedroom when I heard loud crunching. Then I heard choking, coughing and gagging. By the time I raced into the living room, I witnessed Maddie gasp and then collapse. Fortunately, I am a master certified pet first aid/CPR instructor, so I immediately knew what to do. And, I am here to help you possibly save your pet’s life. Step 1. I placed Maddie on the floor and ushered the far-too-curious canine siblings into the fenced backyard. You need to get rid of any distractions so you can focus on rendering aid. Step. 2. I opened Maddie’s airway by sliding my hand under her chin and aligning her head with her spine. Step 3. I opened her mouth, pulled her tongue forward to increase the opening to her airway. Step 4. I carefully untangled the matted mess of dental floss around her teeth and was fortunate enough to be able to pluck the metal click of the dental floss that was in the back of her throat. Step. 5. I sealed her muzzle with my hand as I performed mouth-to-snout rescue breaths. This involves blowing air directly into a dog’s nostrils while keeping an air-tight seal on the muzzle to ensure the air reaches the lungs and does not slip out the sides of the mouth. Step. 6. After performing rescue breaths for about a minute, Maddie revived and woke up. Yay! Step 7. I phoned the nearest veterinary clinic and informed them what happened and that we were seven minutes away. I knew Maddie choked on dental floss, but I wanted medical experts to X-ray her and examine her to make sure she did not eat anything else that could harm her. And veterinarians appreciate getting a “head’s up” in advance so they can prepare a room for emergency cases. Step 8. I gave Maddie the biggest hug and gently advised my sister and her spouse to prevent such episodes by pet-proofing their home. If your dog is conscious and the choking sound turns to a gasping sound, it is usually a sign that the throat is partially blocked. That’s your cue to step in and perform abdominal thrusts. It involves listening and timing. Slide one hand on your dog’s belly to the soft spot where the ribs come together. Make a fist on that soft spot. Then cup your other hand on fist to make like a “cup and saucer” position. Time your abdominal thrust on your dog’s exhales. If your dog does vomit anything, immediately place it in a plastic bag or spare poop bag to prevent him from trying to eat it again and to have it examined at the veterinary clinic. Here are two photos involving how to position yourself to do abdominal thrusts on a small and a large dog. 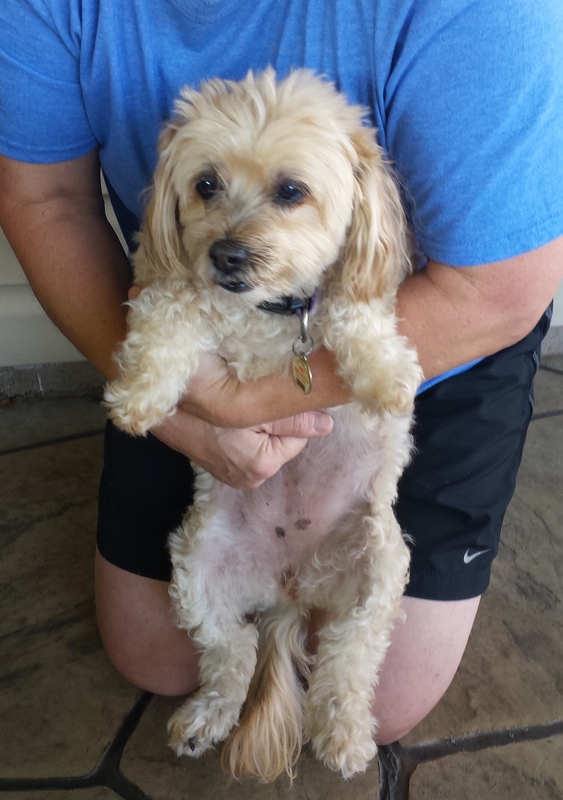 Maddie is a far-too-common example that pet emergencies can happen anytime and anywhere to any dog. Their chances for survival depend on quick-acting on your part. That’s why one of the best ways you can show how much you love your pet is by taking a class in pet first aid/CPR. There are online programs, in-person classes and even instructor courses – how to teach other’s to save pet lives. For your pet’s sake, I hope you will enroll. As for Maddie, she remains as curious as a cat, but there are less dangerous temptations in her home. What temptations are in your home? 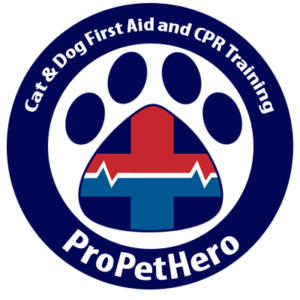 Take a pet first aid & CPR class or become an instructor to find out. Arden Moore is known as The Pet Health and Safety Coach and master instructor for our pet first aid instructor program. She has authored more than two dozen dog and cat books plus travels the country with Pet Safety Dog Kona and Pet Safety Cat Casey to conduct veterinarian-approved, hands-on pet first aid/CPR classes and pet behavior talks. She also hosts the award-winning pet podcast, Oh Behave on Pet Life Radio. Sniff around her sites: http://www.ardenmoore.com and www.petfirstaid4u.com. 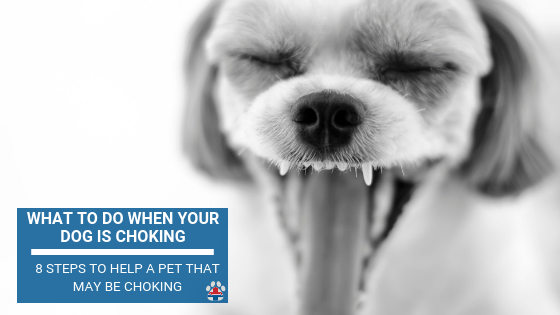 thank you for sharing about Dog’s Choking. I found it on my pet. I will forever be grateful for what I have read just now. When your pooch is choking on something there surely ain’t time enough for you to get help from an expert vet or someone, at such times information like this comes in handy. Kudos to the writer! I have two dogs who I love and treasure very much over 10 years old, i’m in nursing 22 years , I have an idea how to help my dogs when choking reading this column open my eyes and knowledge me to know and exactly what the confidence that I need if i have a come to the situation , thank you . Become a Pet First Aid Instructor! If you're interested in becoming a Pet First Aid Instructor, we now offer classes. Be a Pet First Aid Instructor! Is Neosporin Safe for My Dog and Cat? Why Does My Dog Pee When She Gets Excited?